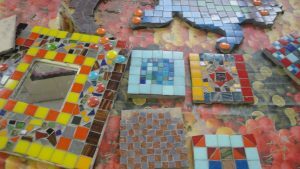 There is something truly magical about this ancient method of decoration – taking all those small pieces and putting them together to create a highly individual piece of work. 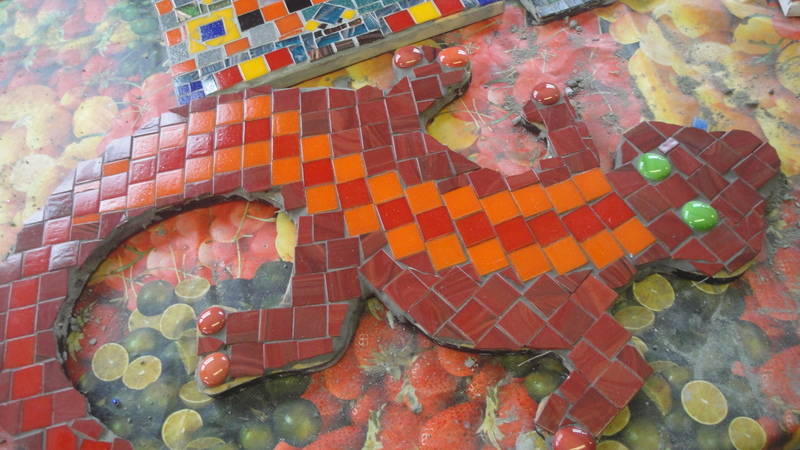 As you snip the tiles and place the pieces,the picture emerges! Addictive, expressive, relaxing and absorbing, no wonder this method of decoration has stood the test of time. 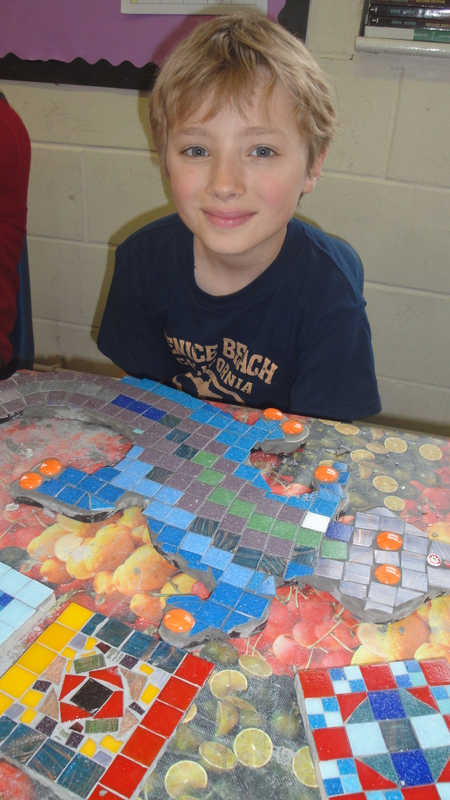 From early history to the current day we continue to be enchanted and excited by the beauty of mosaics. During the 4 days students will complete at least two projects covering all the basic techniques. We will provide goggles, clippers, tiles, grout and all the materials necessary to make a mosaic. Lucy Cohen: has been working with mosaic for the last 30 years and enjoys using colour and texture in her work. She takes her inspiration from her feelings and emotions. 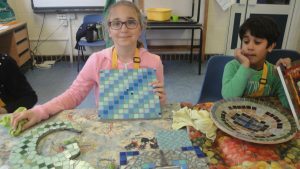 After 20 years working as a Primary School Teacher, Lucy is currently retraining as a Child Counsellor and brings her extensive experience of working with children to this course. Very good teacher , My daughter likes to create things and the teacher let her decide on the design of the mosaic by herself, then was given the advice on how to make it work, which was very good. Bella loved the course, she was excited about going every day. 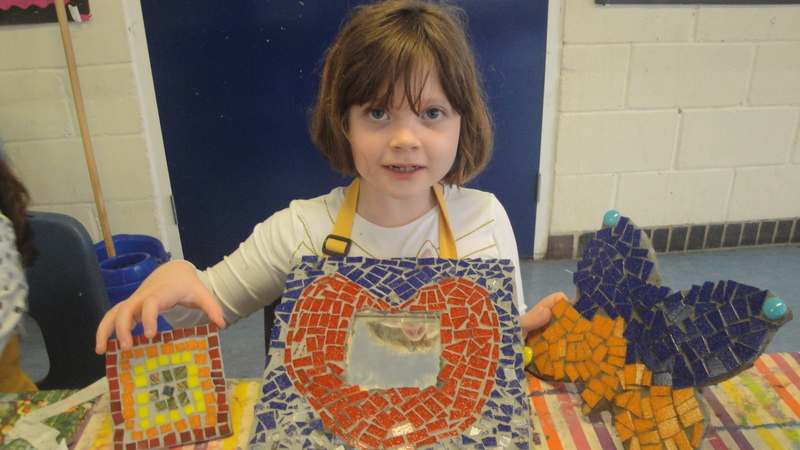 She came home with 2 lovely mosaics she had made and was very happy. Another excellent course that she loved. See you in the Summer! 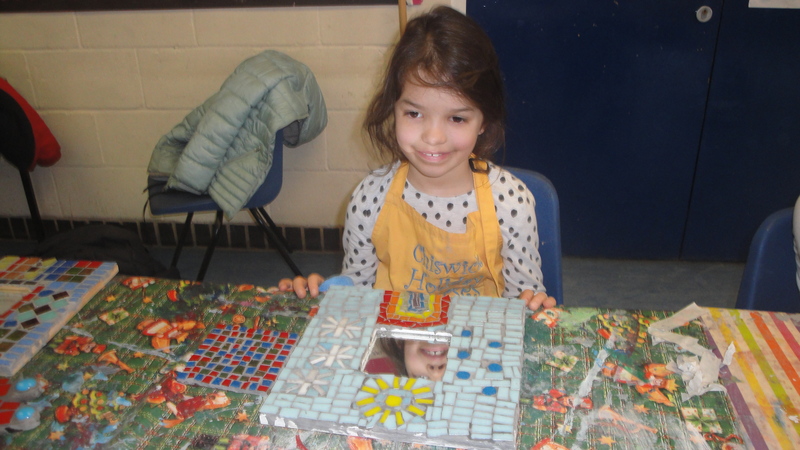 My daughter loved the mosaic course and said Catherine is a great teacher. She came home with some amazing treasures! I love that my daughter looks forward to coming so much. Excellent as ever, my daughter feels very well looked after and welcomed. She arrives every morning to a well organised ready to start session.Thank you for a fabulous week, we are so lucky to have these fabulous courses in West London. 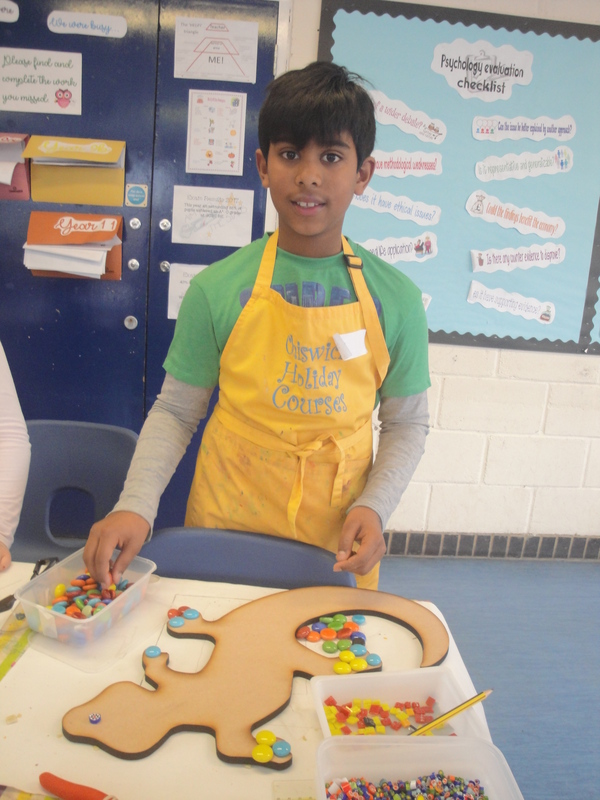 The work produced was superb; the children must have worked very hard.